This morning she grabbed a bottle of wine in the supermarket and yelled “Cuggle wine! Kisses wine!”. 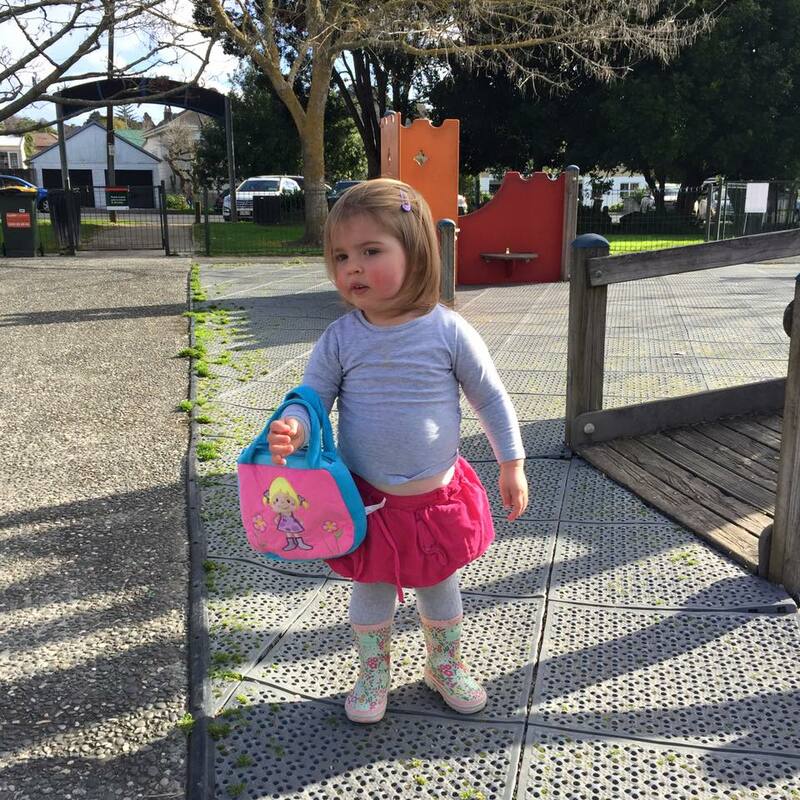 This afternoon she’s standing in a playground wearing a food-stained top and carrying an oversized bag full of crap. She’s gonna make a great mother one day.